You expect big-budget, slam-bang drama from Hollywood action movies. But doing simple banking chores like depositing checks shouldn't make you feel like you're trapped in an out-of-control Michael Bay production. 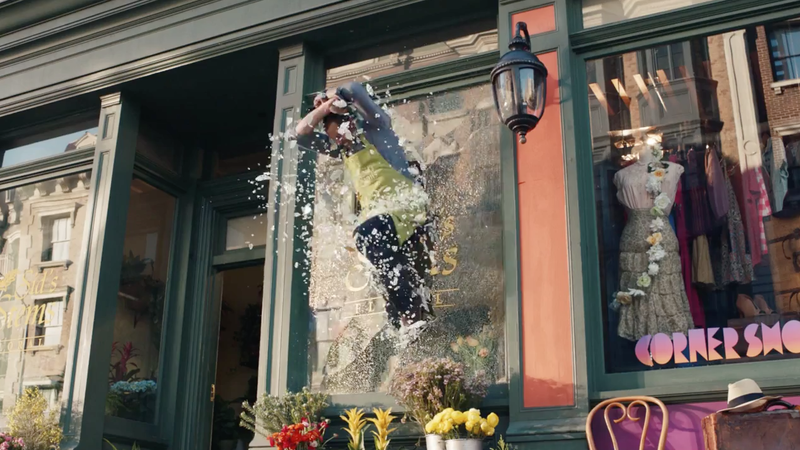 Ad agency Tierney develops that fun storyline in a trio of spots, using familiar cinematic tropes to illustrate how TD Bank provides a better experience for its customers. Benji Weinstein, via Tool of North America, directed the 30-second TD commercials, part of the ongoing "Bank Human" campaign. He keeps the pace brisk and the mood light, while the on-screen antics never overwhelm the brand message. Related campaign elements—which in most cases also spoof Hollywood, TV and social-media clichés (from zombies to kung fu and dubbed cats)—include pre-roll videos on Hulu, as well as Web banners, BuzzFeed lists and quizzes. In addition, digital billboards in select cities will display personalized responses to viewers' tweets. Using multiple platforms underscores "our commitment to delivering leading omni-channel solutions without sacrificing the personal experiences" that keep customers satisfied, says TD CMO Vinoo Vijay. Moreover, he says, the bank strives to tell stories "that address fundamental human truths, recognizing that since our customers' problems are big to them, they are big to us, too."